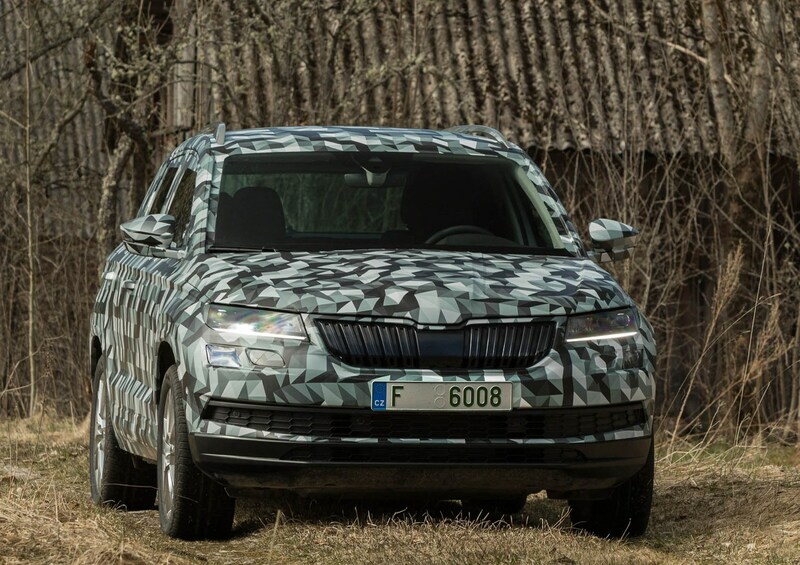 The Skoda Karoq SUV is the Czech manufacturer’s replacement for the much-loved Yeti, featuring more conventional SUV-style looks and a design philosophy which ties in heavily with the larger Kodiaq seven-seater. 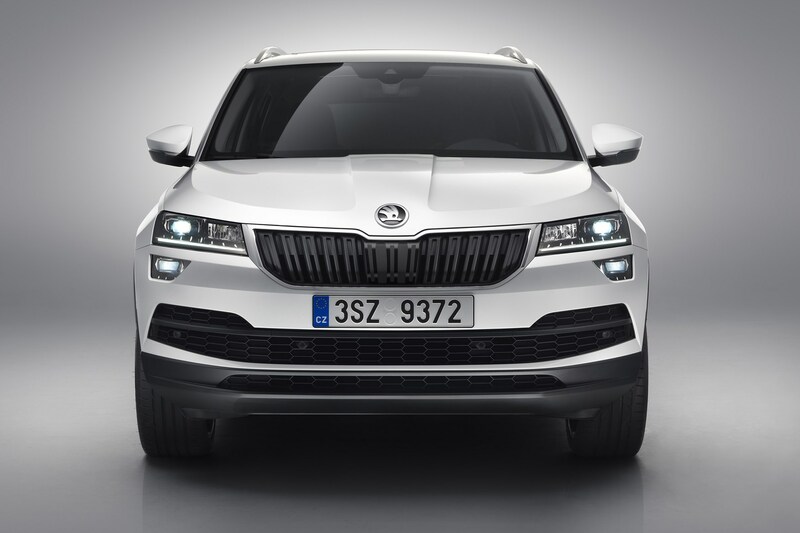 Skoda will tell you that the Yeti's more conventional SUV replacement attracts younger buyers. It certainly has wider mass-market appeal than the older car. 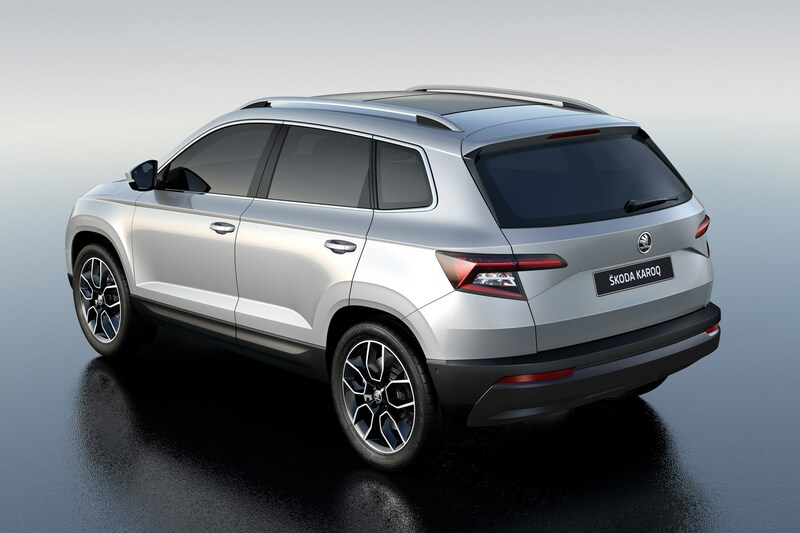 Slotting into one of the most congested sectors of the market, the Karoq is set to go head-to-head with the Hyundai Tuscon, Kia Sportage and hugely popular Nissan Qashqai – not to mention in-house rivalry from SEAT’s Ateca and Volkswagen’s Tiguan (cars that share a platform with the Karoq). 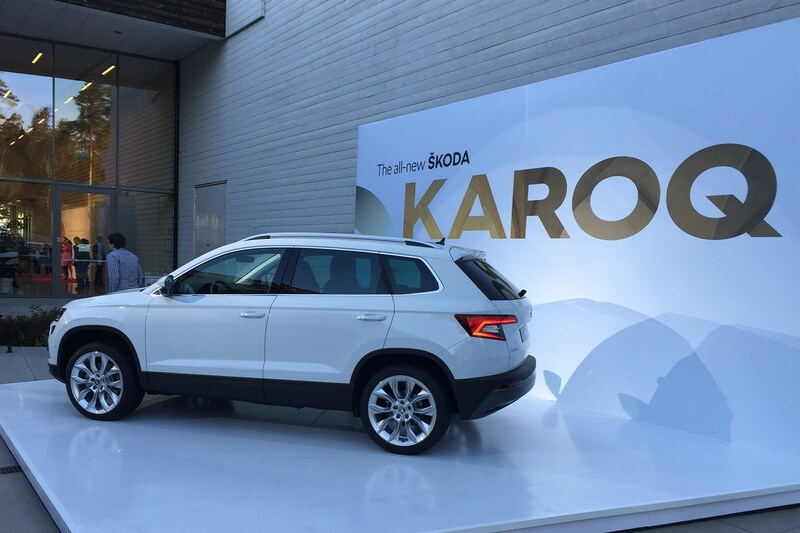 Does the Karoq come out on top? 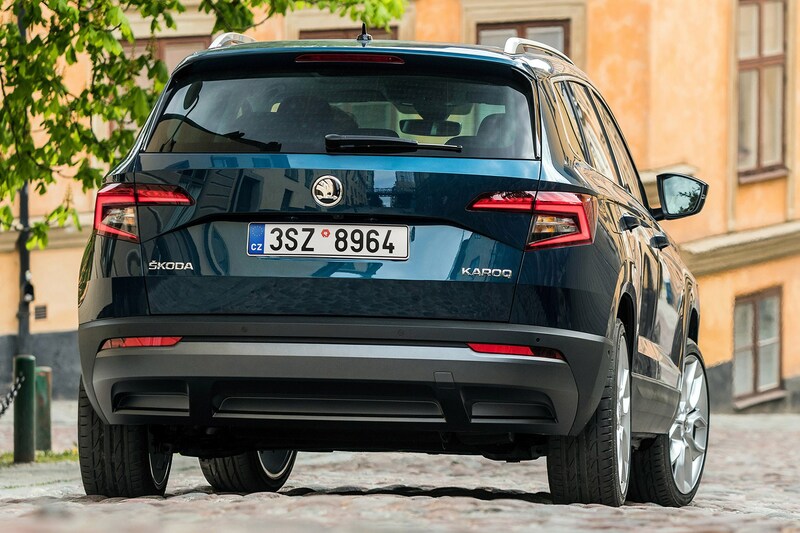 You’ll have to read on to find out, but with 10.3 million SUVs expected to be sold by 2024 - a 430% increase over 2010 – now’s certainly a good time for Skoda to hit the mark. 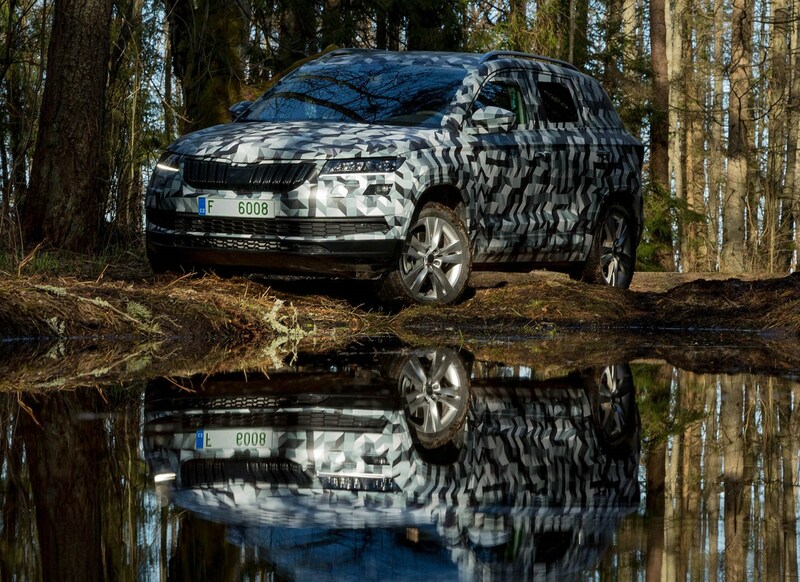 Skoda decided that it wanted to establish a closer link to the larger Kodiaq. 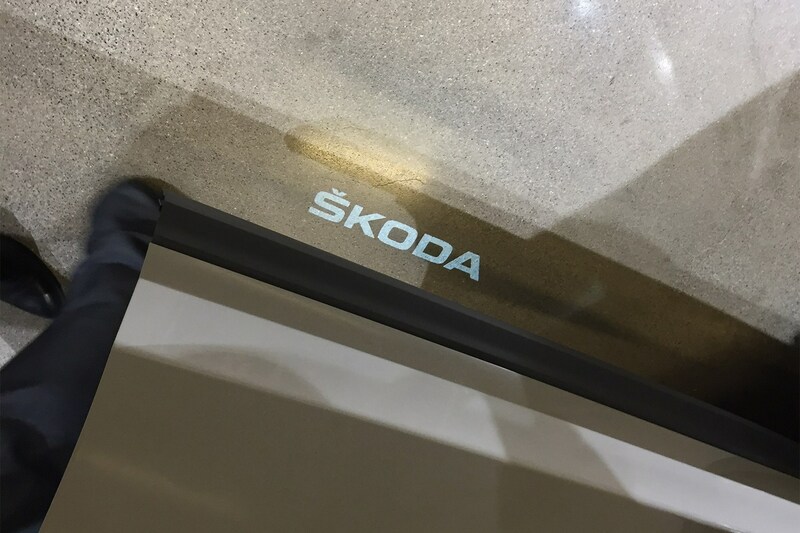 That meant the name had to start with a K and end with a Q. Kodiak Island in Alaska was the source of the new badge – where the population refers to a car as a ‘kaa’rak’, while an arrow (like the one on the Skoda badge) is called a ‘roq’. And so, Karoq was born. Even if you opt for the basic SE-spec car (the majority of customers will plump for mid-level SE L) there’s still a good spread of standard kit to get your teeth stuck into. 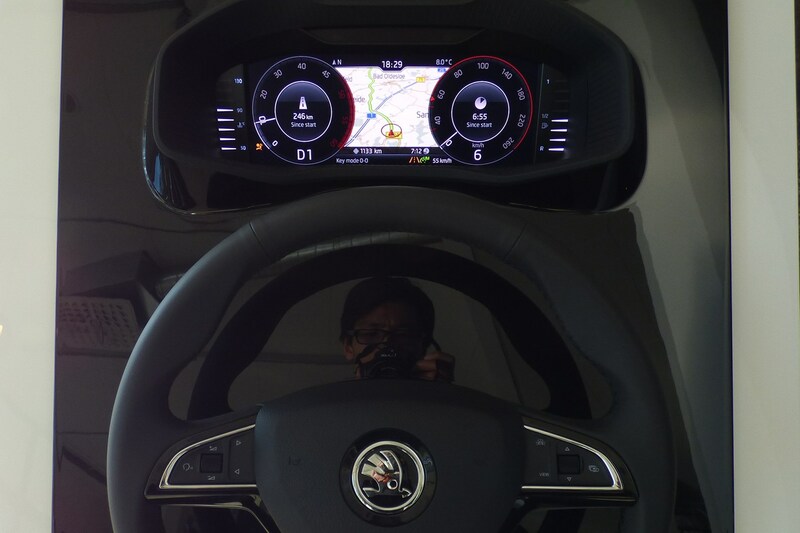 This includes 6.5-inch infotainment touchscreen, cruise control, dual-zone climate control, DAB radio, Bluetooth phone connectivity, rear parking sensors and Smartlink (Apple Carplay and Android Auto). 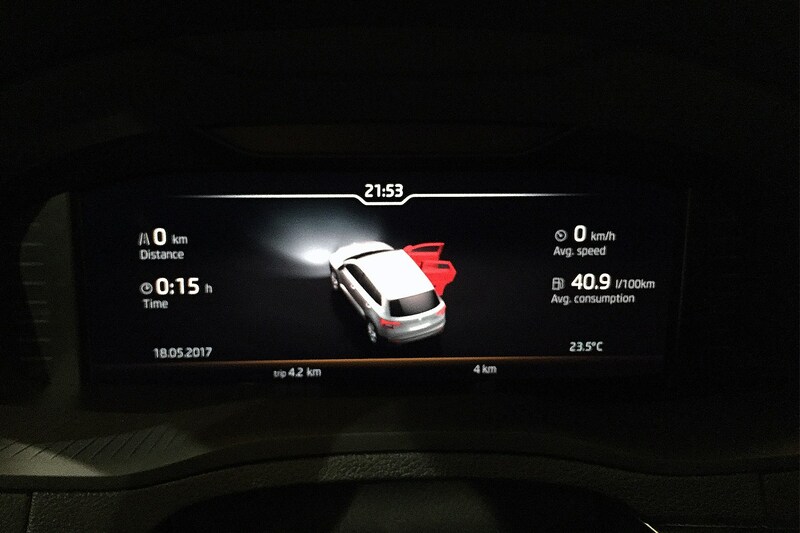 There’s plenty of potentially life-saving safety features too, including front assist autonomous emergency braking with Predictive Pedestrian Protection (the vehicle can recognise and attempt to avoid pedestrians in its path), Multi-Collision Brake (automatically activates brakes after an accident), emergency assist (brings the car to a halt if it detects the driver has collapsed) and blindspot monitoring. 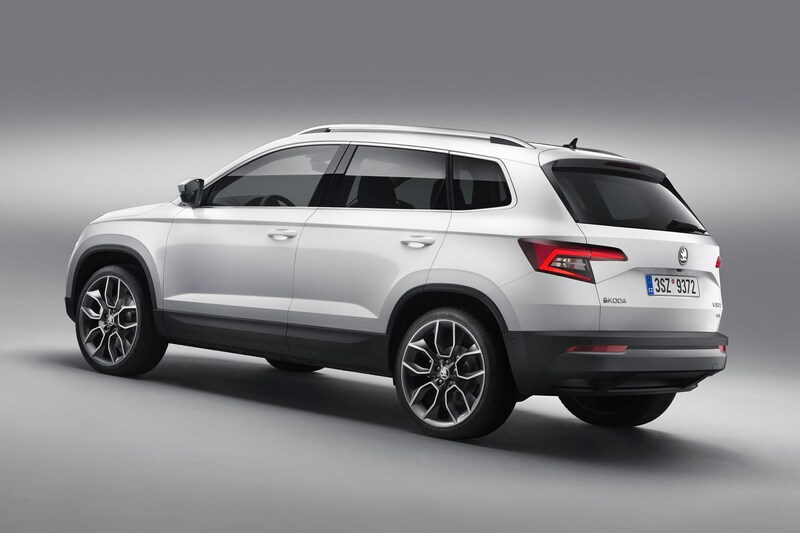 In May 2018 Skoda announced that its Connect multimedia system, which features on the Karoq, will interface with Amazon's Alexa virtual personal assistant. 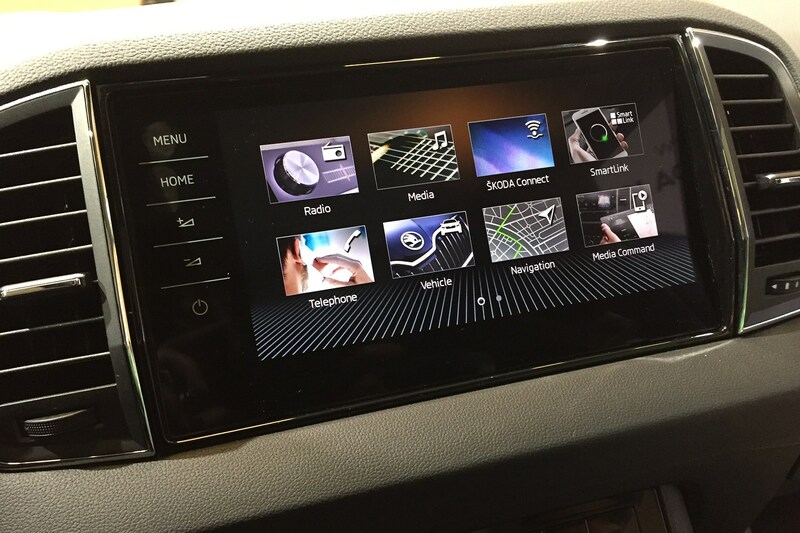 This means you can ask Alexa certain questions to find things out about your Karoq. 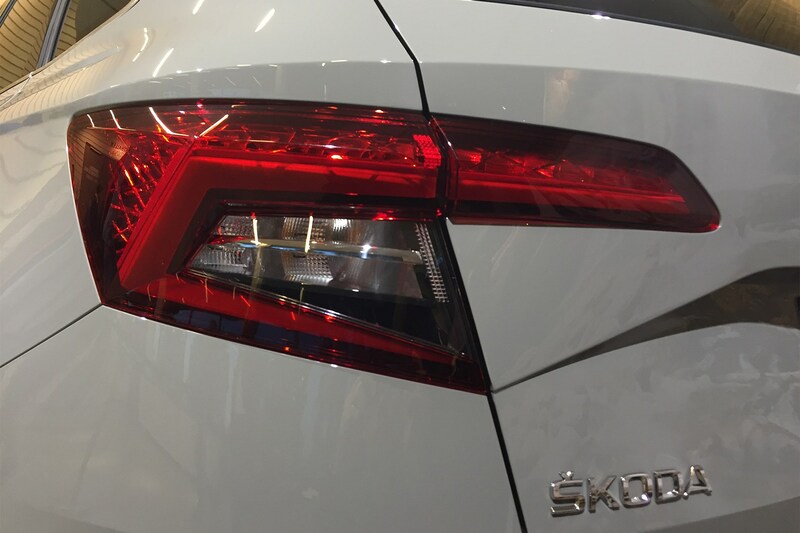 For example, you can check if you've left its headlights on, what the range is with your current fuel level or even where you've parked your car. 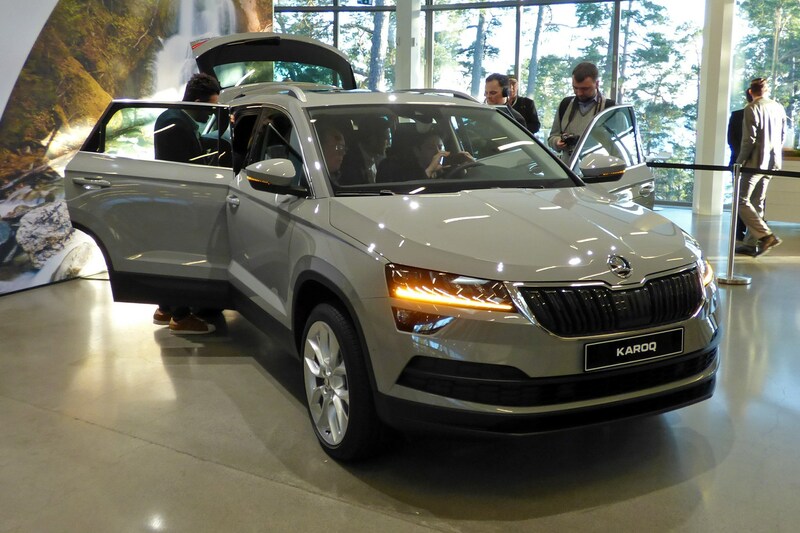 Mid-sized SUVs need to be able to fit five adults and their luggage – something the Karoq does with relative ease. 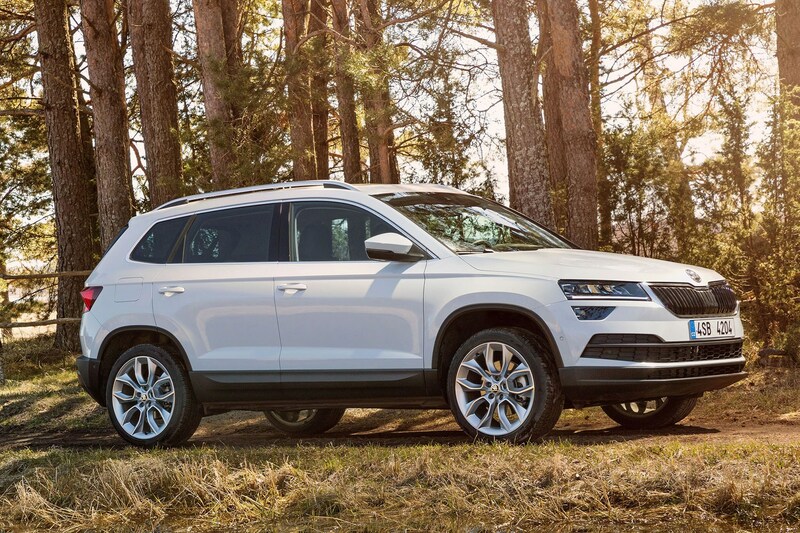 There’s plenty of room in the cabin for four large adults with rear headroom a particular highlight even with the optional panoramic roof in place. Middle seat passangers will bemoan the chunky transmission tunnel robbing room to place their feet, but should be happy otherwise. Storage all around the cabin is excellent, plus boot space is a class-leading 521 litres with the rear seats in place and 1,630 litres with them down. You can also remove the back seats entirely should you wish – although this is a process that takes practice to master. 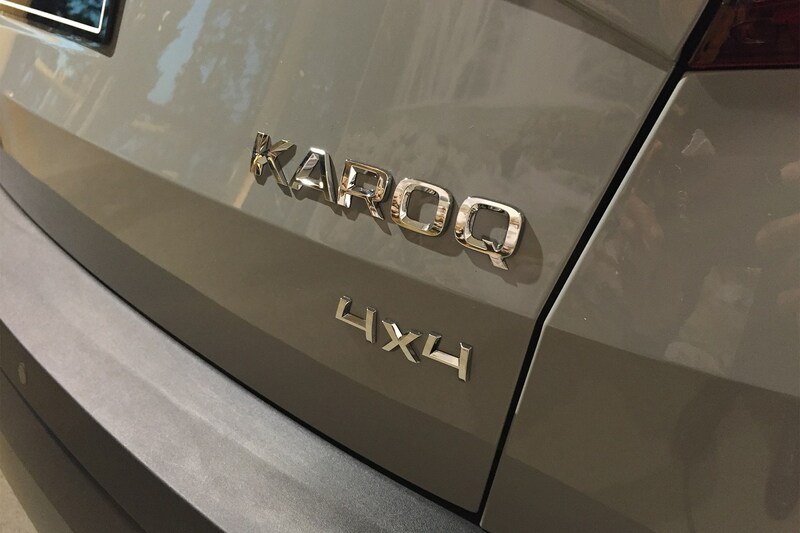 There are only four engines on offer in the Karoq, and while none will set the world alight with their performance levels they’re all capable of doing the job. 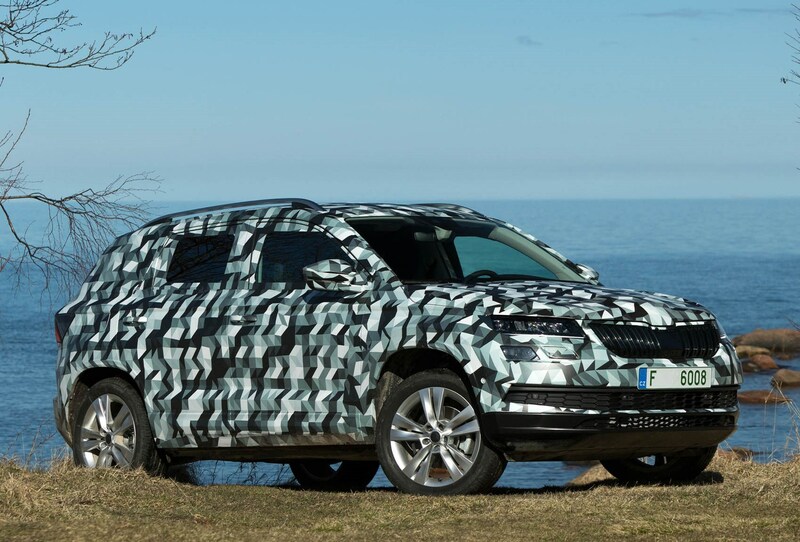 That said, the highlights of the range are either the 150hp 2.0-litre TDI diesel or the 150hp 1.5-litre TSI petrol. All engines are available with a slick and easy-to-use seven-speed DSG automatic gearbox. 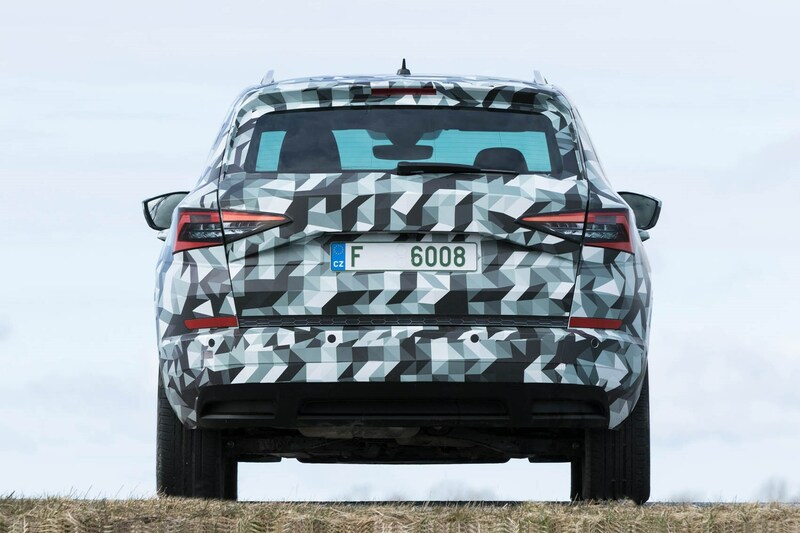 Fuel economy and emissions figures aren’t class leading, but are enough to keep both private and company car drivers happy. 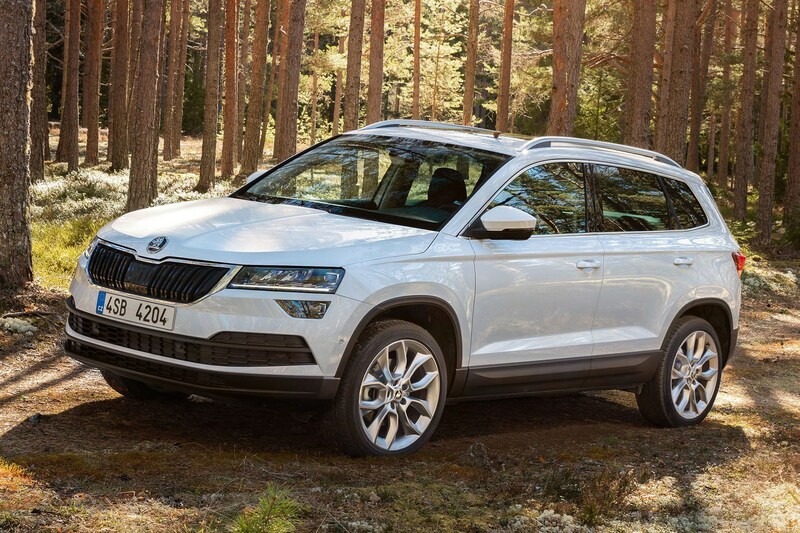 The lowest CO2 rating belongs to the 115hp 1.6-litre TDI DSG at 117g/km, as does best fuel economy at 64.2mpg. 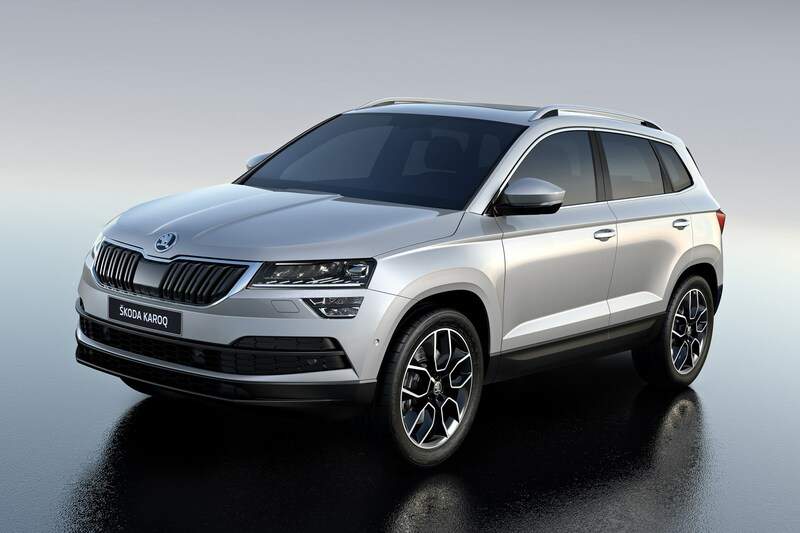 The Karoq has been set-up to offer a calm, comfortable ride and tranquil driving experience – something it achieves with aplomb. Road and wind noise are both low, while the ride and general damping is impressive, soaking up large bumps with ease. 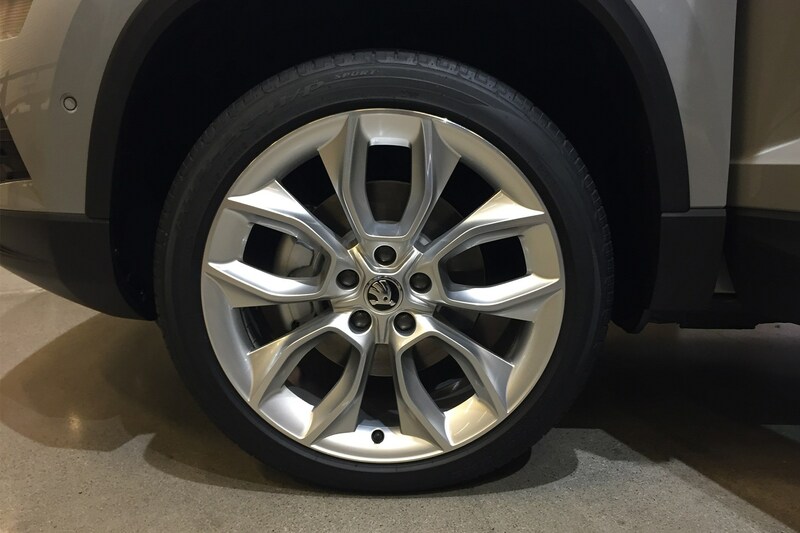 Potholes and cracks in the road can reveal a slight edge to the ride – especially on larger wheels – but not to the extent of ruining an otherwise relaxing driving experience. 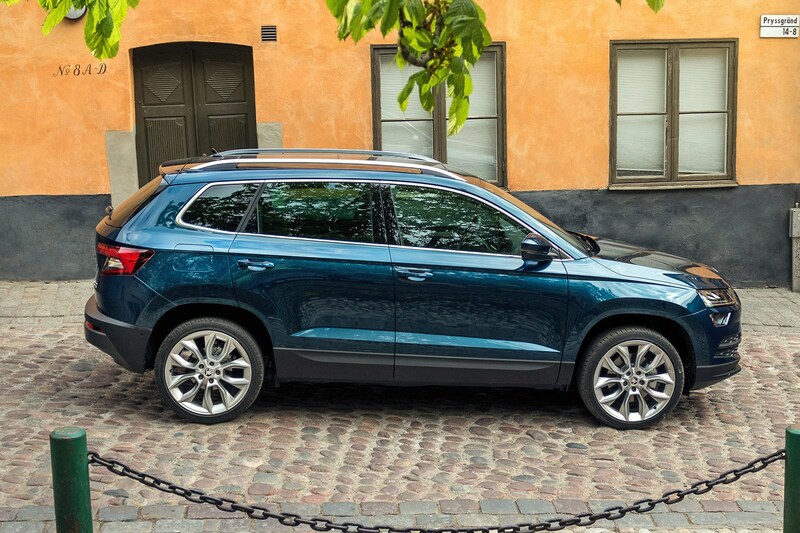 The pursuit of comfort means the Karoq feels soft and rolls a fair bit in corners, but is still perfectly stable and easy to drive at both high and low speeds. Those who enjoy a sharp, sporty drive should consider looking elsewhere, however. 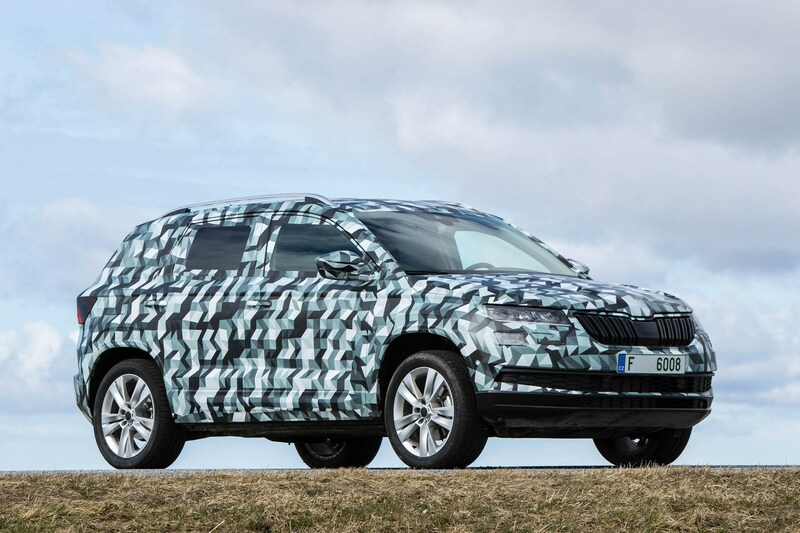 At the Paris motor show in October 2018, Skoda unveiled two new versions of the Karoq. 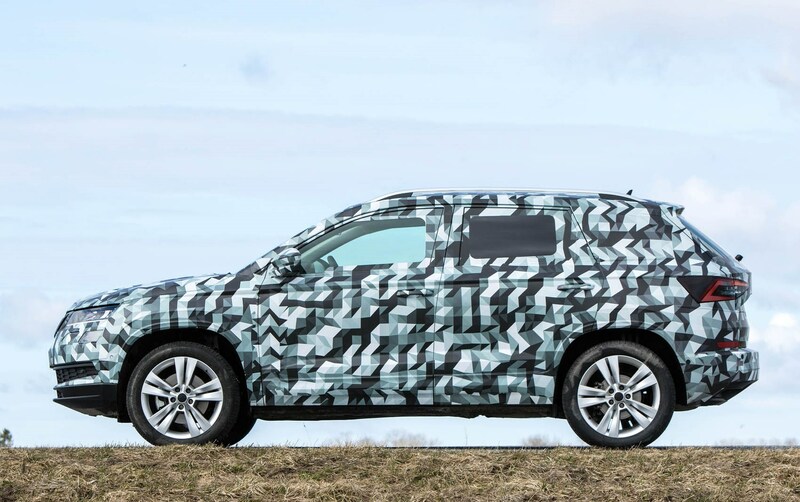 The Scout has more of a rugged look and 4x4 as standard with a choice of petrol or diesel engines and manual or automatic gearboxes, while Sportline has a 190hp petrol engine and the option of four-wheel drive and either of the transmissions mentioned above. 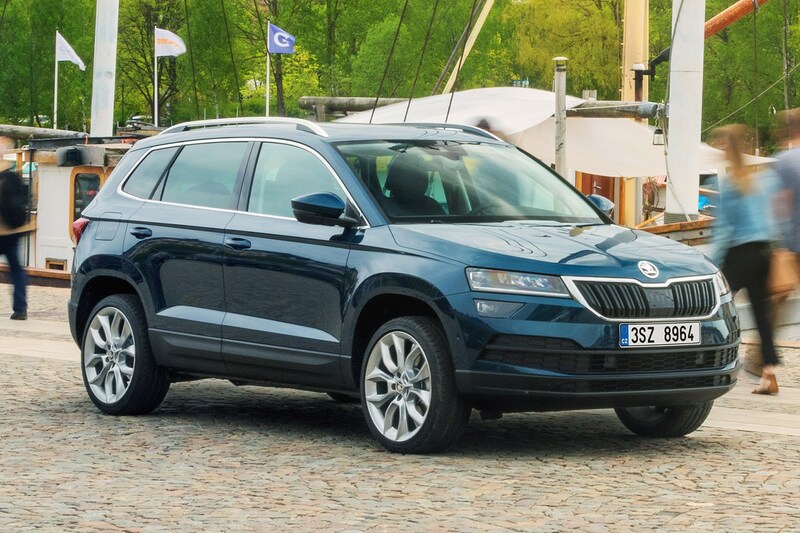 Should you buy a Skoda Karoq? 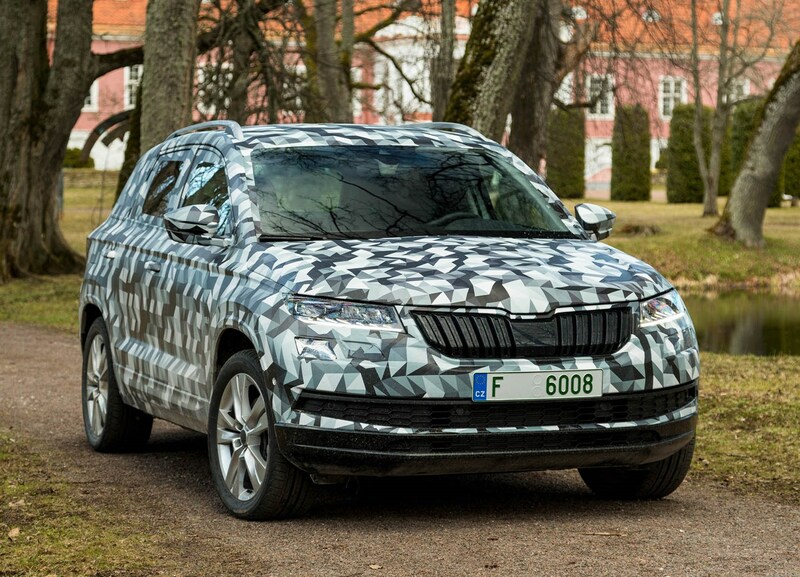 The Skoda Karoq is predictable in its sheer competency. 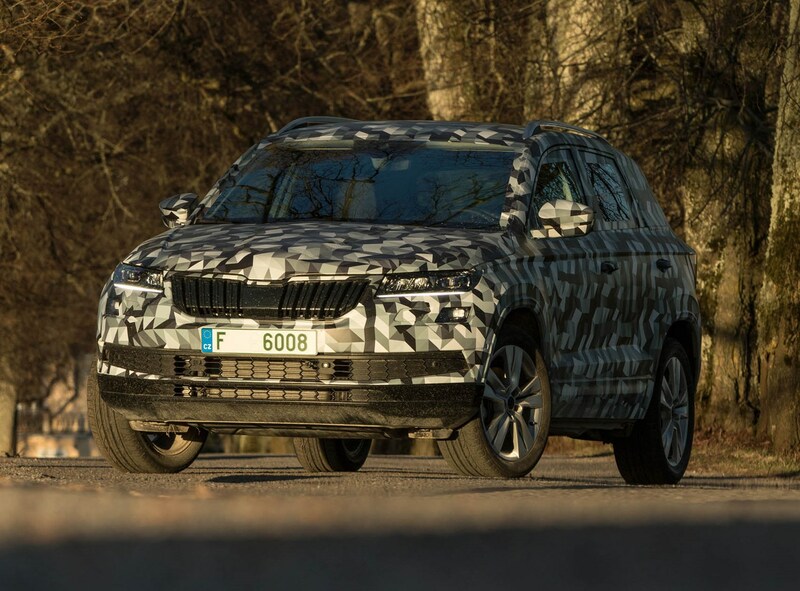 After making such a fine effort on the larger Kodiaq SUV, Skoda has followed up with a well-equipped, comfortable and seriously practical crossover. 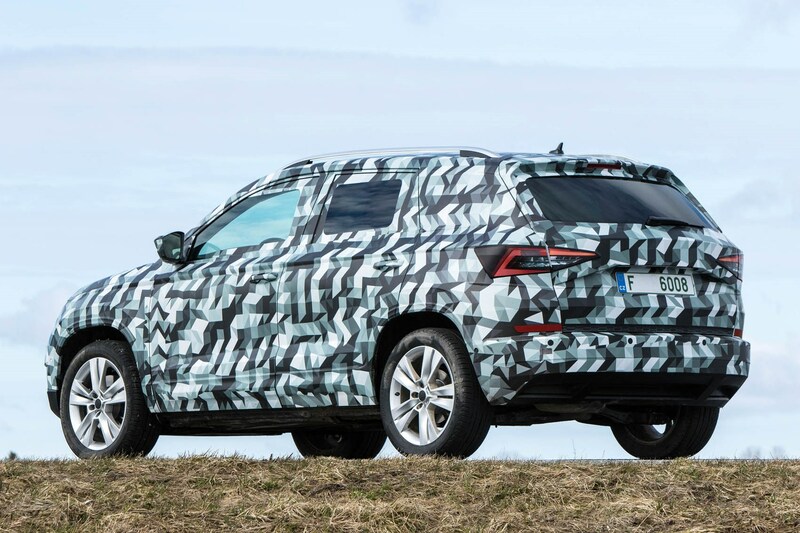 Access to the Volkswagen parts bin has also played a part, with the Karoq bagging the latest Volkswagen Group infotainment system and 1.5-litre petrol engine before the Ateca. 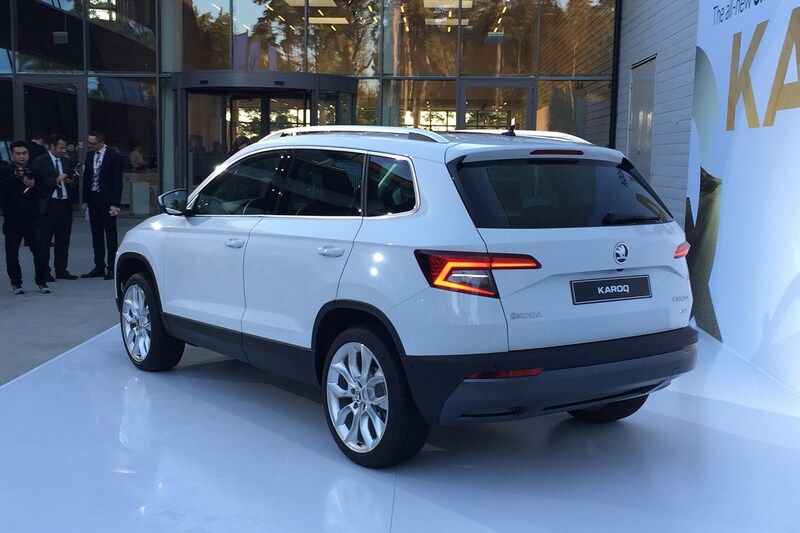 For many, it will be all the family car they’ll ever need. 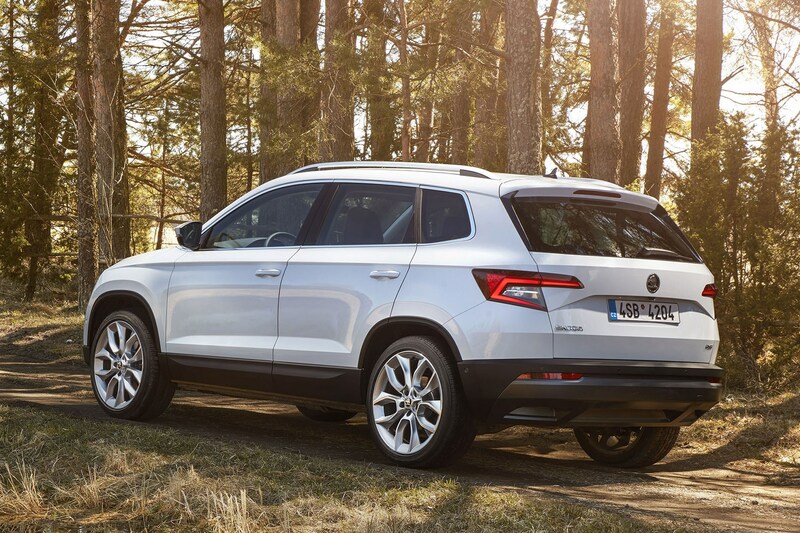 Detractors include a fairly narrow set of good-but-not-spectacular engines and handling prowess that falls behind the SEAT Ateca and Ford Kuga. 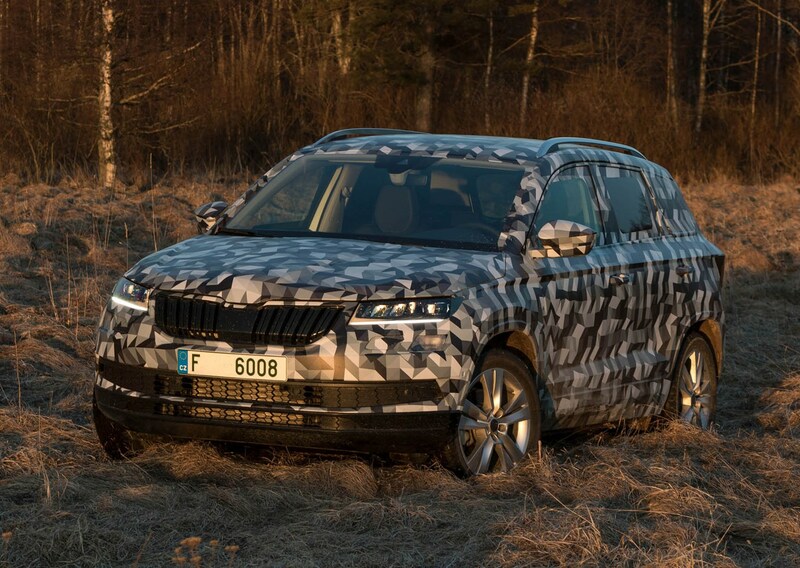 Even so, the Karoq has still gone right to the top of the class – a place which it will likely remain in for a while yet.